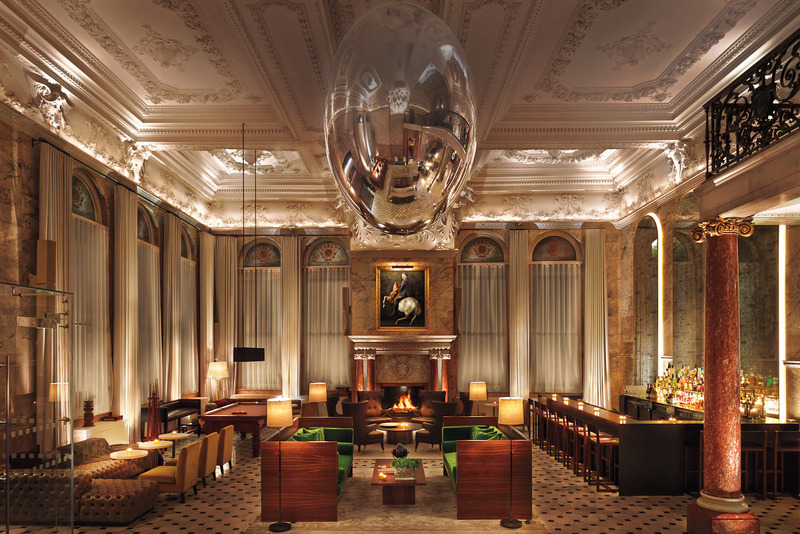 Inside the lavish lobby of The London Edition hotel on Oxford Street, with Soho nightlife on the doorstep. Berner's Tavern at The London Edition, headed by Michelin-starred Jason Atherton serves up contemporary British fare. The sumptuous lobby is adorned with marble columns and green velvet lounges. The light-filled, open-plan Loft Suite at The London Edition hotel. 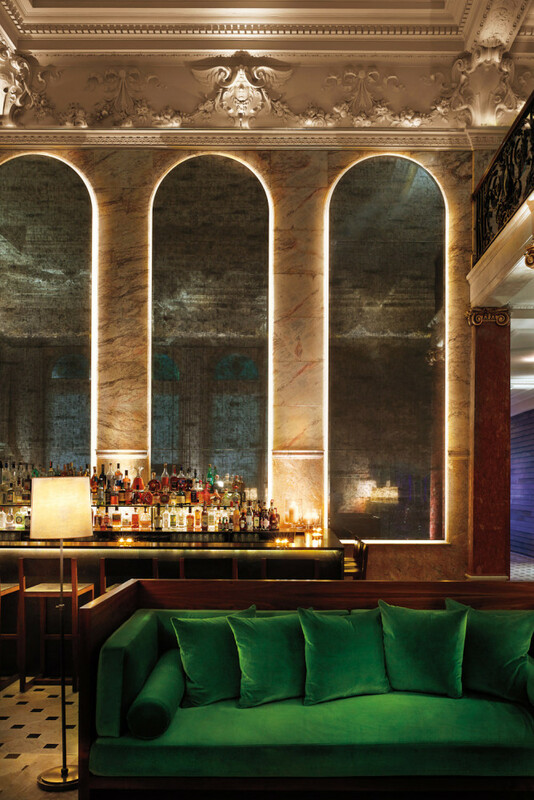 Is Ian Schrager’s latest opening all you’d expect from the visionary hotelier? Quentin Long seems to think so. In my next life I want to be Ian Schrager. Everything he touches is so ahead of its time, yet so now and incredibly successful. From the moment he ‘created’ the boutique hotel as a concept in 1985 with the Sanderson in London, he has had the hoteliers’ equivalent of the Midas touch. And his latest move is no different. A joint venture with Marriott hotels, the EDITION Hotels (Istanbul and London are already open, with Miami Beach, New York and Sanya set to come in the next 12 months) marry the concept of international brand expectations (“I want to know what I am getting”) with the best of immersive travel (“I want to hang with the locals”). Just metres from Oxford Street, I step into what looks like a Belle Epoque Fitzrovia mansion from the street but turns out to be a buzzing hotel lobby. There are people everywhere. It’s chatty and energetic and I immediately sense that I have stumbled into the place that everyone wants to be. A two-metre chrome egg hangs over me accentuating the high ceilings. A combination of marble columns and incredible green lounges gives way to a discreet reception area that’s tucked away behind the lobby bar. Schrager has created an experience well before you actually see any part of the inner workings of the hotel itself. 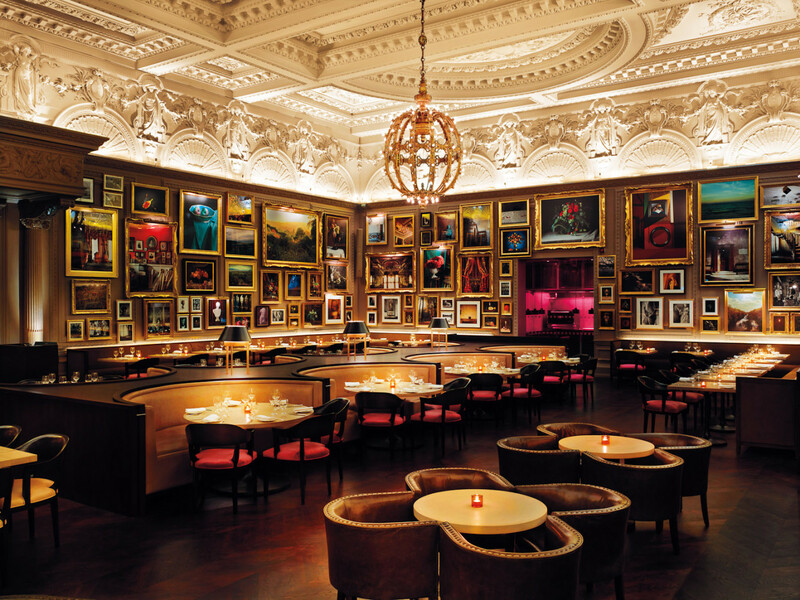 Berners Tavern, the hotel’s restaurant, is accessed via a large doorway from the lobby. The Belle Epoque milieu continues here, with endless gilt-framed landscape paintings juxtaposed with moody portrait photographs covering all available space on the walls. It is an incredibly busy but very effective environment that adds to the overwhelming energy of the hotel on the ground floor. Getting to my room is probably the only little disappointment: the hallways are boring. For a property that is just so stunning everywhere else, it’s a bit of a letdown. My room follows the same theme of ornate, detailed spaces contrasted by minimalist features that I loved so much downstairs. The dark-wood panelled walls are paired with blonde timber floors, creating an earthy feel in the bedroom. The bathroom, by contrast, is completely tiled with stark white sunglasses-at-the-ready mosaics. The bed, as you would expect, is huge and soft, with a draped brown fur throw adding another sensory element to the décor. Big drop lights create atmosphere and work perfectly with the chocolate brown tones throughout. There’s the requisite walk-in wardrobe, a minibar of artisan chocolates, beautiful handcrafted popcorn, and even a London EDITION notebook, if you want jot down your inner most thoughts (or write a hotel review). In its entirety the room works brilliantly, and the attention to detail is fantastic. The only slightly jarring element is the television which hangs from the wall at an awkward angle to the bed; moving it into the prime laze-on-the-bed position makes it look like it’s about to fall off at any moment. If it all gets too precarious, there’s a big cosy reading chair in the corner with its own pouf and lighting as an alternative. Back downstairs I find that the quality of the food served in Berners Tavern matches the impact of the space itself. Michelin-starred chef Jason Atherton offers up a contemporary menu of great English food. The other noteworthy feature of the food and beverage roster is the Punch Room, a cosy retreat for a tête-à-tête that serves up the latest in fashionable cocktails. Overall, this is a fantastic new addition (bad pun intended) to the London hotel scene. Its location is ideal, its service is outstanding and the experience is sublime. Fantastic buzzy hotel, perfect for young-at-heart London-bound travellers looking to connect with ‘what’s happening’ in the city. Oxford Street and the nightlife of Soho are on your doorstep. Straight from the zeitgeist, this is cool you have never seen before. Slightly too cool for school but incredibly professional. Clever use of space, precariously hung TV aside. Great British dining that holds its own without the hotel. Even though it was a big wedge of cash at $578 for the night, it was worth it.